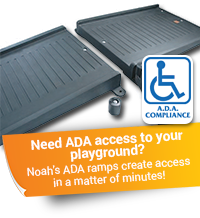 Noah's Park and Playgrounds has several installation options. Before payment is accepted/processed, Noah's and client must mutually agree upon all installation terms. Disclose exact location address and type in order to determine if special off-loading arrangements are needed to accept shipment. ie: lift-gate, forklift, 24-hour notice, residential or commercial delivery. Disclose all installation site informaton such as measurements, landscape impediments, fencing or sidewalk/border perimeters, parking lot access, required 'check-in' procedures for installation crews. Mark all sprinkler system components prior to installation crew arrival. NPP is not responsible for sprinkler system damage if sprinkler system is not properly marked prior to install. Contact public utility companies for the purpose of marking all underground public utility lines no less than 72-hours prior to installation crew arrival. Public Utility companies include; Water, Gas, Phone, Electrical, Sewer, etc. Line-Location services are free in most states. This service typically takes one phone call to your state's Line-Location service to have all lines located and marked. Acknowledge installation will not begin if Line-Location has not been done. This is for the safety of our crews. LEAVE ALL public utility line locate markers in place for the safety of NPP installation crews. Be responsible for marking all private utility lines (at client's expense) prior to installation crew arrival. Inspect and accept (if not damaged) any and all equipment which is shipped direct to installation site (direct ship must be an agreed upon term by both client and NPP). Make NPP aware of any installation concerns within 10 days after installation. 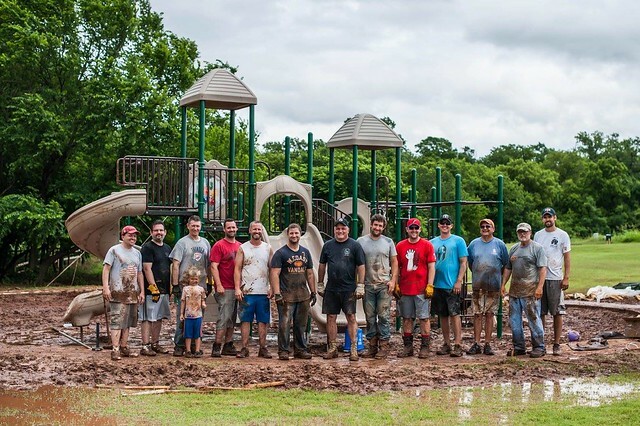 Allow Noah's Park & Playgrounds a mutually agreed upon time-frame to address client's concerns. Disclose equipment installation type and amount on final quote. Make all installation arrangements prior to equipment being shipped from manufacturer(s). As promptly as possible, make client aware of concerns that would cause delays of previously arranged installation terms. One-year warranty on installation labor.